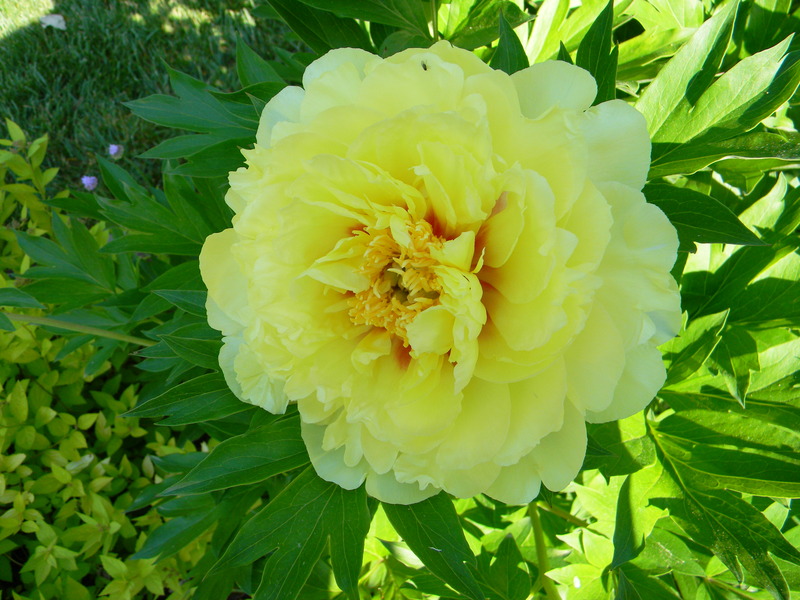 Today my garden is left with one last peony: a secondary bloom on ‘Sarah Bernhardt.’ All the rest have run their course. ‘Sarah Bernhardt’ is usually the last peony in my garden to start blooming, so it is not unexpected for it also to be the last one open at the end of peony season. 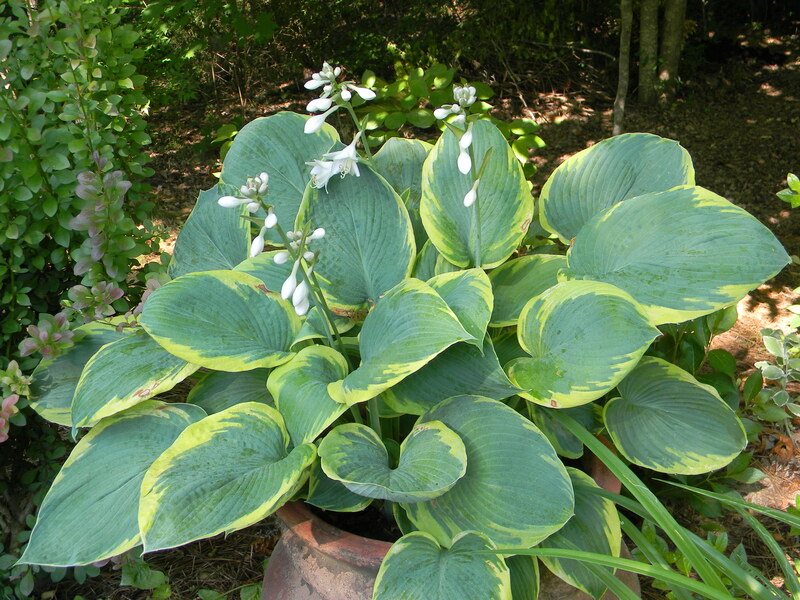 For years it has been the only one on which secondary blooms open. 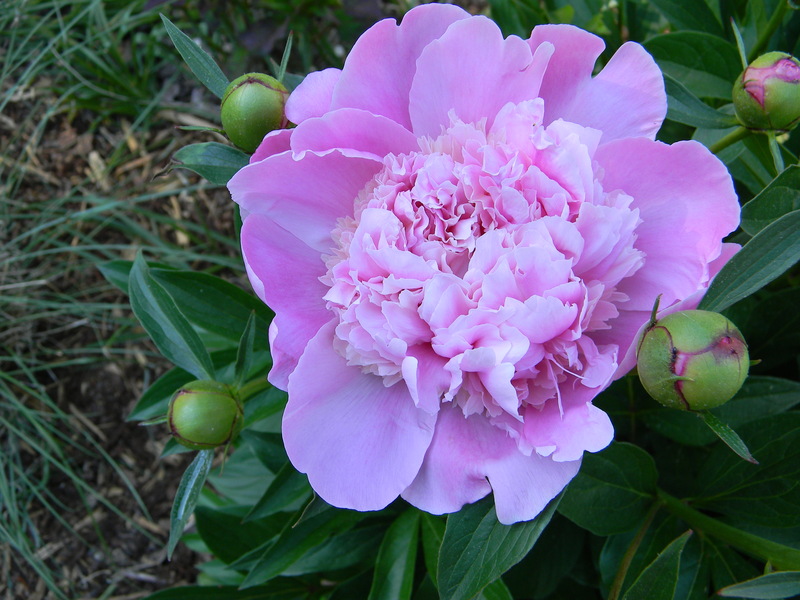 This has been an extraordinary year for peonies. As I have mentioned in earlier posts, it may have been the unusually cold winter for this part of North Carolina that has made the difference. 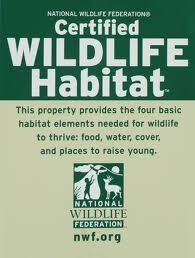 I did not do anything out of the ordinary last fall or over the winter. 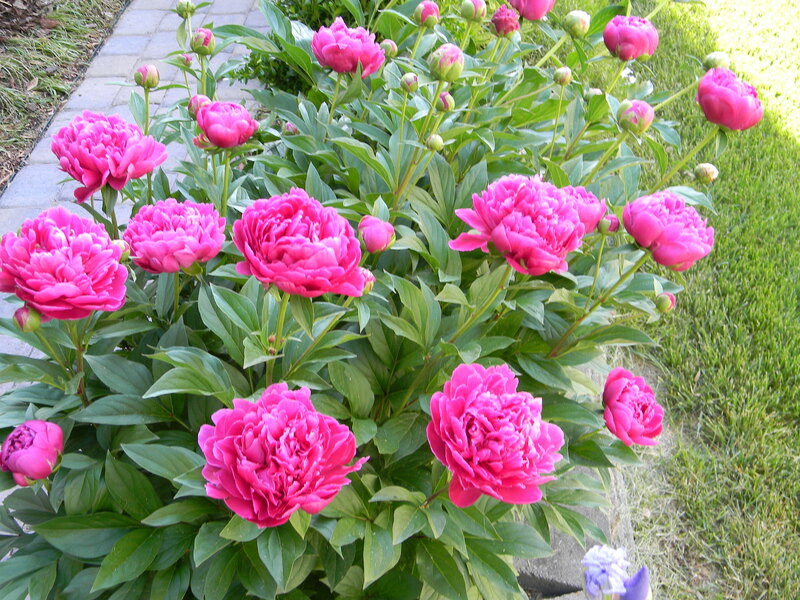 In fact, I did nothing for the peonies but cut them down to the ground. 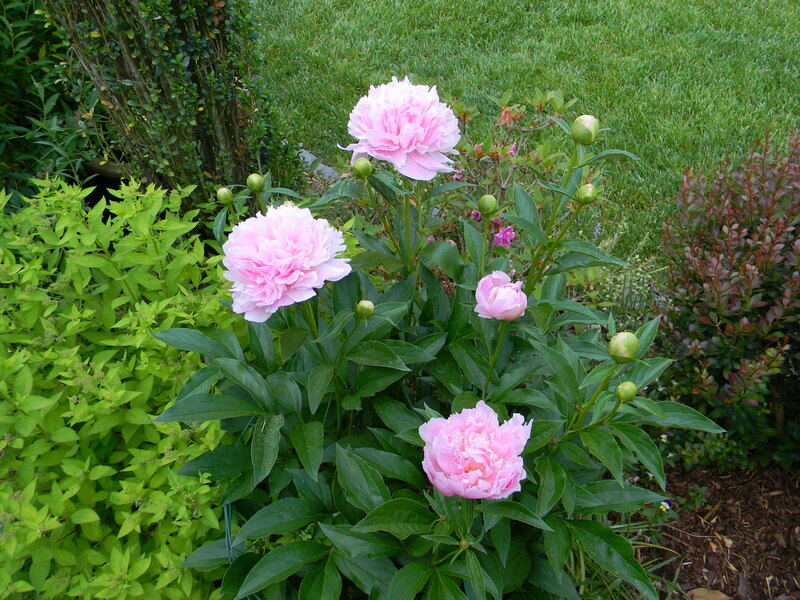 Whatever the reason, this has been the first year in two North Carolina gardens that secondary buds on most peonies made it to bloom. 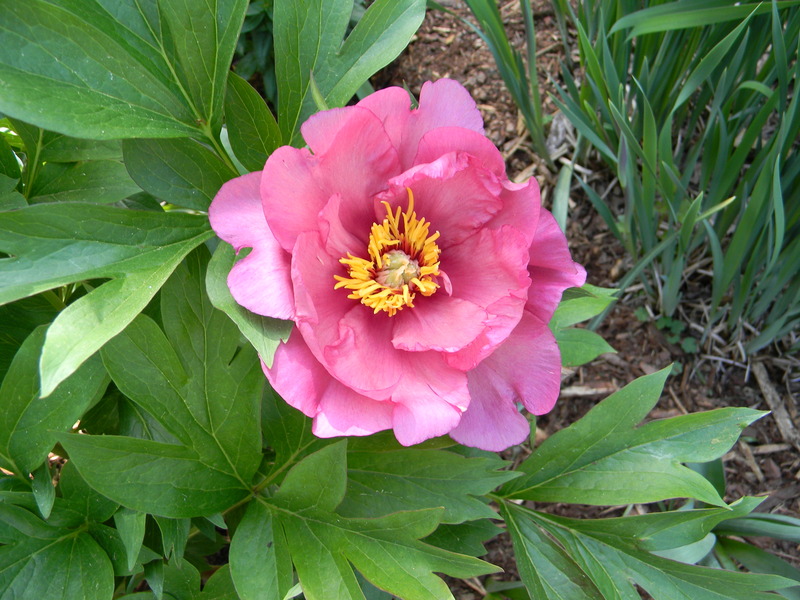 Consequently, peony season lasted much longer this year. 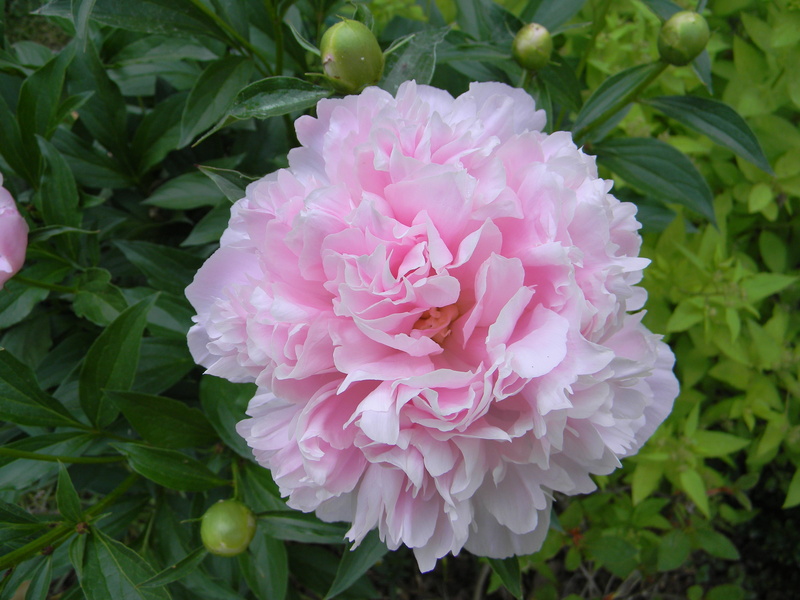 More blossoms over an extended period: that is what makes a great peony season. ‘Bartzella’ was such a favorite of our visitors (and mine) that several of them are already using a picture of my ‘Bartzella’ as the cover “wall paper” on their iPads and smart phones. 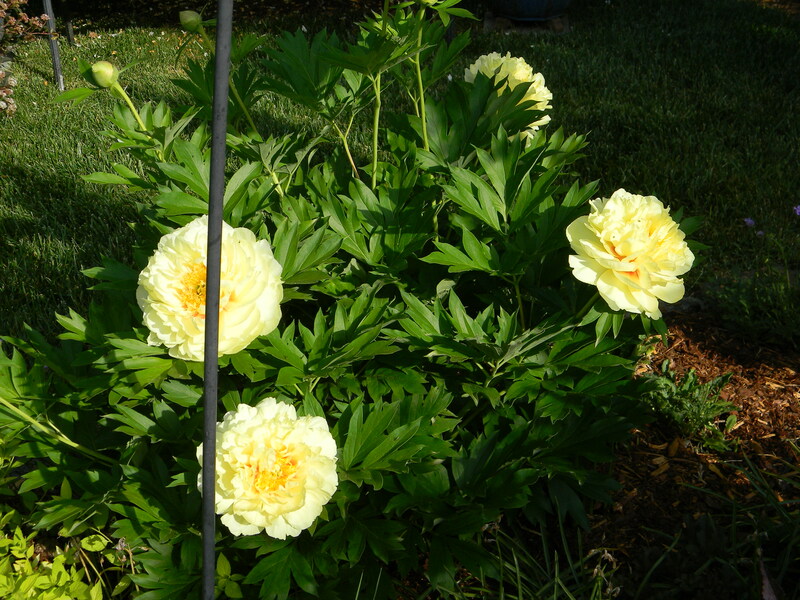 Both of these new Intersectional peonies remained perfectly erect in a driving rainstorm. Pardon the pole in the picture of ‘Bartzella;’ I didn’t even notice it I was so captivated by the blooms. 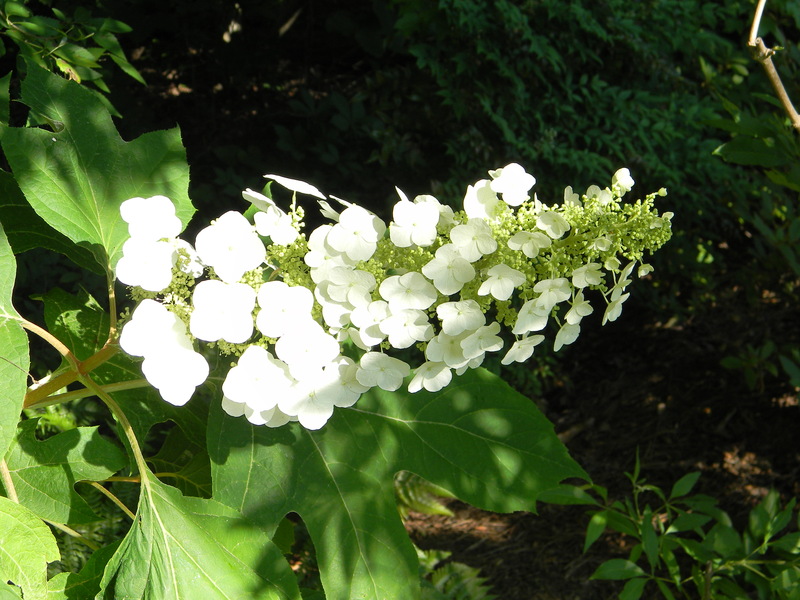 These should keep things going until the daylilies start…and the phlox…and the ‘Endless Summer’ hydrangeas…and the vitex…and…. 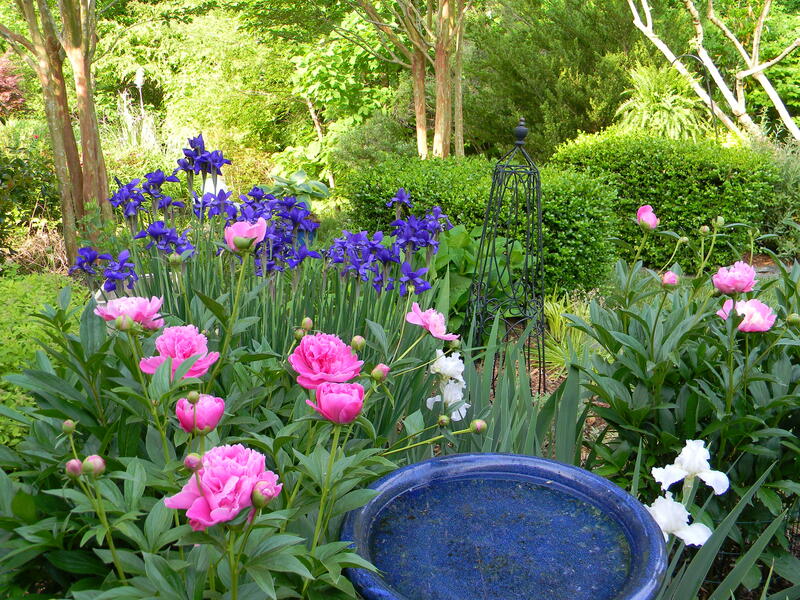 This entry was posted in Gardening and tagged Bartzella, daylily, Endless Summer, Frances Williams hosta, herbaceous peony, hosta, Intersectional peony, Itoh peony, Keiko, North Carolina, oak leaf hydrangea, peony, Sarah Bernhardt, secondary blooms. Bookmark the permalink. 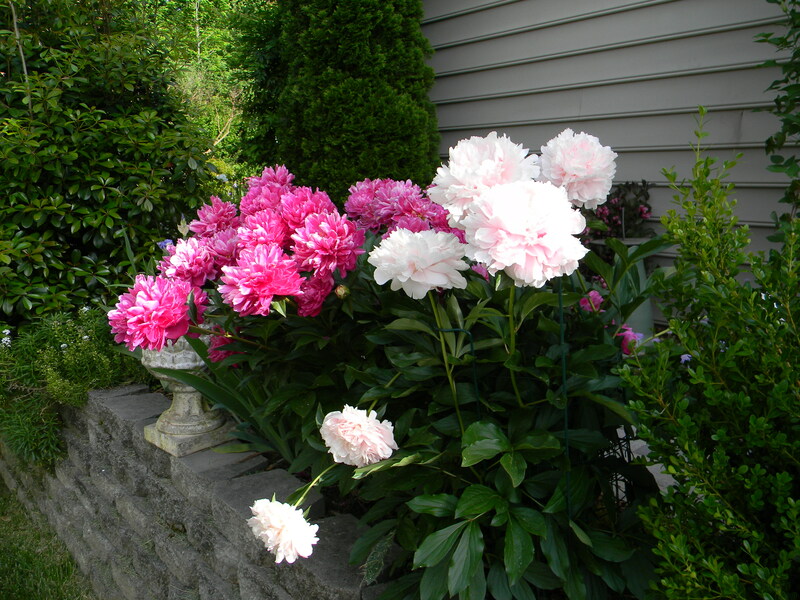 Peonies are some of my favorites! Garden looks great Dad…love you! Love love all the colors Dad!! 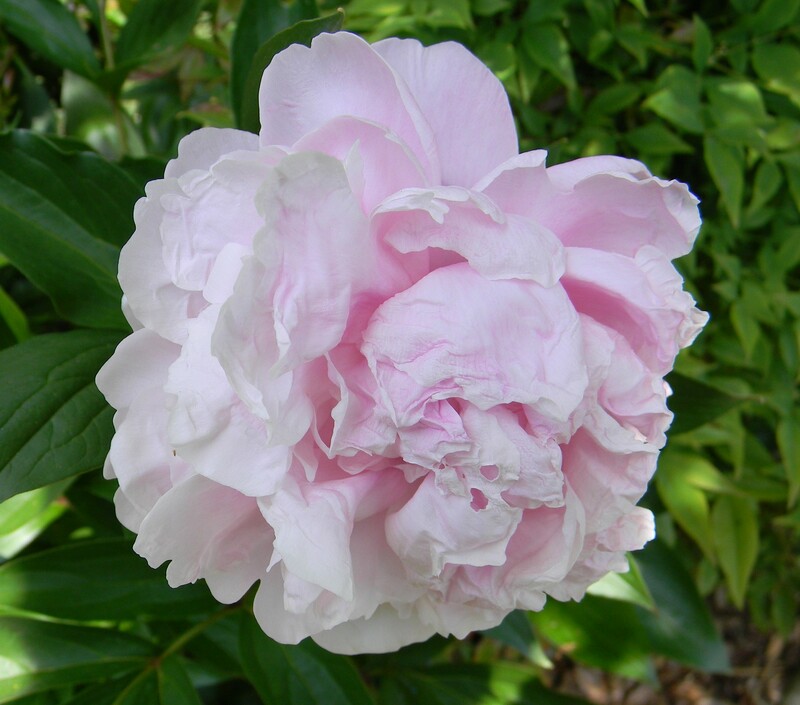 Gorgeous peonies, particularly Bartzella, an unusual colour for a peony. Thanks, Chloris. 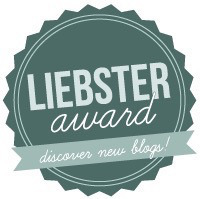 I will look forward to following your blog.